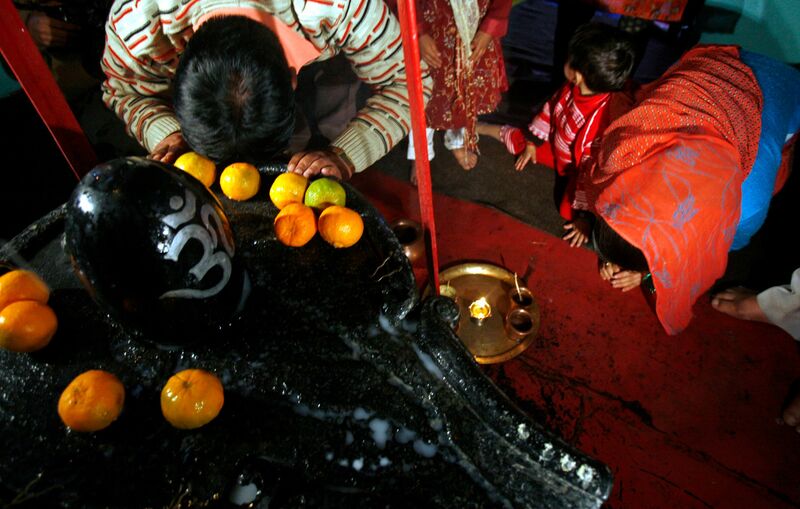 CHENNAI: Auspicious Hindu festival of Maha Shivratri is dedicated to worship Lord Shiva. Maha Shivratri is observed on the 13th night/14th day of the 11 Hindu month of Phalguna or Maagh every year. Devotees will be celebrating the auspicious day by fasting and offering special prayers to Lord Shiva by pouring milk and water on the Shiv ling and adorning it with beautiful flowers. Maha Shivratri is not just celebrated in India but also in other regions including Nepal, where Lord Shiva is worshipped. Thousands of devotees take a holy dip at various pilgrim destinations on this occasion. Devotees form long queues in various temples in India to offer prayers and also witness the Rudra Abhishekam of the Almighty. The day is also observed with devotees smearing their bodies with ash. ‘Om Namah Shivay’ will be chanted by devotees throughout the night of Maha Shivratri. 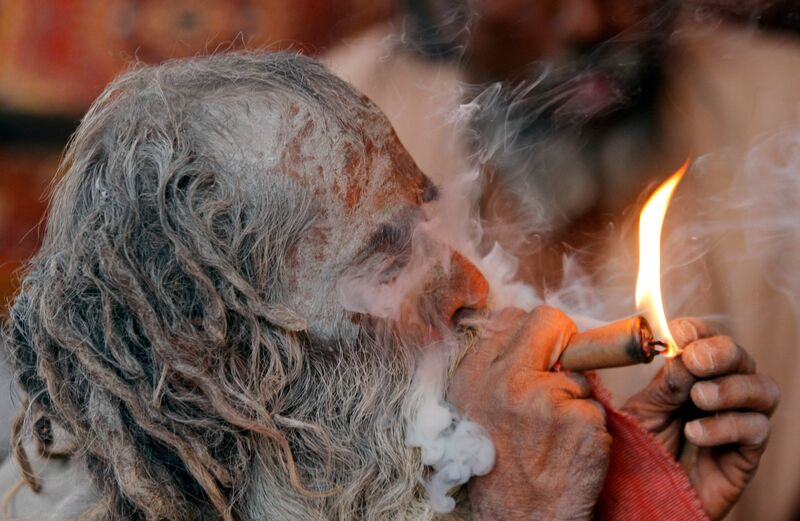 Some of the Sadhus and Devotees take Thandai, a drink which is made of cannabis and milk and the main highlights of Maha Shivratri is that the Hindu holy men smoke marijuana during the occasion, as they believe that Lord Shiva is fond of it. 1) Kapaleeshwarar Temple, Mylapore, Chennai, Tamil Nadu. 2) Arunachaleswarar Temple at Thiruvannamalai, Tamil Nadu. 3) Srikalahasti Temple, Andhra Pradesh. 4) Srisaila Devasthanam, Andhra Pradesh. 5) Lingaraj Temple, Bhubaneshwar, Odisha. 6) Keesaragutta Temple, Keesaragutta in Rangareddy district. 7) Ramanathaswamy Temple, Rameswaram Island in the state of Tamil Nadu. 8) Lokanath Siva Temple, Bhubaneshwar. 9) Thillai Nataraja Temple, Chidambaram. 10) Murudeshwar Temple, Bhatkal Taluk of Uttara Kannada district in the state of Karnataka. There are many mythological stories pertaining to the celebration of Maha Shivratri. It is believed that the formless God appeared in the form of “Lingodbhav Moorti” at midnight on Maha Shivratri. This is said to be the reason as to why Shiva devotees keep vigil at night and offer prayers to the Lord. It is also believed that Hindu devotees stay awake whole night to give company to God Shiva, who was not supposed to fall asleep after drinking the ocean poison (Kalakootam). Devotees believe that Lord Shiva married Devi Parvati on Shivratri. Thus, the day is the union of Shiva and Shakti, the two greatest forces of the Universe. The day is considered auspicious for women. They fast and pray to the Lord to get blessed with blissful married life, while unmarried woman would pray for an ideal husband like Shiva. Maha Shivratri is also celebrated to mark the day when the Lord saved the world from destruction. The ocean was churned (Samudra Manthan), a pot of poison emerged which gods and the demons believed would cause destruction to the entire world. Shiva consumed the deadly poison to save the world. However, the Lord held the poison in his throat instead of swallowing it. And the Lord's throat turned blue due to the poison's effect which is why Shiva is also known as Neelkanth. Shiva Linga must be bathed with water, milk and honey. Also, bilva patra must be offered to the lord as it purifies the soul. Vermilion must be applied over Shiva Linga after bathing, it represents virtue. Symbolising longevity, different kinds of fruits are offered to the Linga for the fulfillment of wishes. What follows is lighting incense sticks, as it stands for yielding wealth. After incense, it is time to light a lamp which refers to attainment of knowledge. Offering bilva patra stands for satisfaction from the worldly pleasures. There might be a slight difference in the way people belonging to several castes and clans worship the deity.